Easy to put in a purse or a pocket, our individually wrapped red striped peppermint candies are a hit! 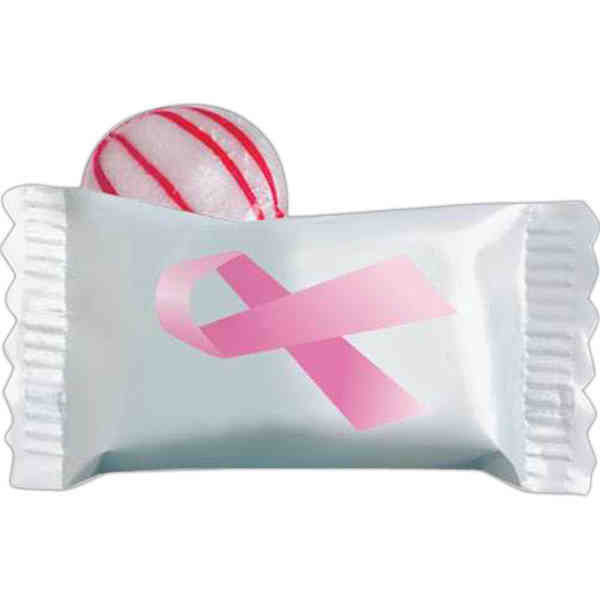 This non-melt product features a white wrapper with a pink ribbon. It's a perfect complimentary hospitality gift for charities, breast cancer walks, hospitals, doctor's offices and much more! The ultimate classic peppermint sucking candy with the unforgettable look at taste. Priced per case of 1000.